With Thanksgiving looming all I can think about is turkey. But given that there are only two people in my home and cooking a whole entire turkey is entirely too intimidating, I decided to try cooking a turkey breast in my crockpot and it end up working out incredibly well. 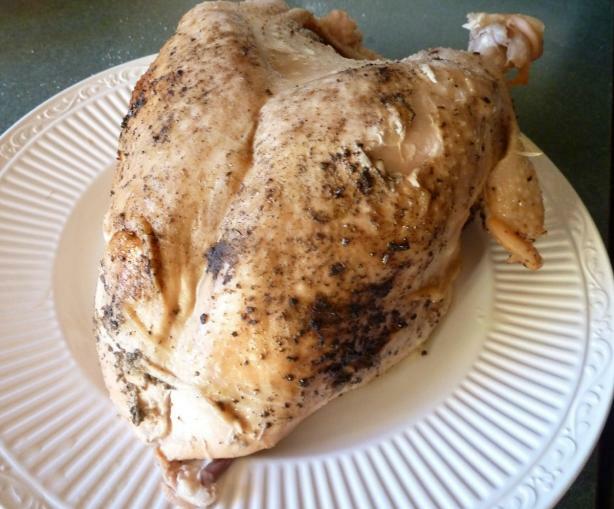 It is very simple to make, all you do is cover the turkey with your favorite spice rub, drop it in, and wait. Seven to eight hours later you have incredibly moist, delicious turkey. This will definitely be replacing the over abundance of deli turkey in my fridge every week. 1. Rub the turkey breast inside and out with the spice rub, rubbing some under the skin so the flavor is infused throughout the meat. 2. Place the turkey breast in the crockpot and cook on high for 1 hour. Then turn the setting down to low and cook for 7-8 hours. 3. If you want to crisp up the skin place it under a broiler after cooking.